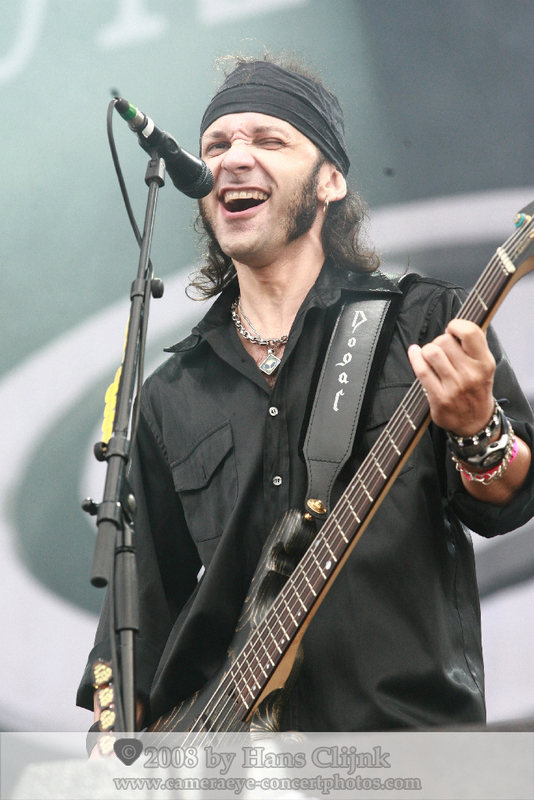 You played in several bands and projects with different music styles. As you started to play bass/guitar - which music style, bands/musicians were your No.1 in that time? Actually I've always loved music in its many forms, so I dreamed of playing some instrument since I was a kid. At that time the only way for me to make music was joining the marching band of my hometown (Villapiana, south of Italy). There I learned the clarinet and music theory. My brother was a guitar player at that time (not professional he was a boy too, he's five years older than me, but he loved playing the guitar every day). When I was ten he pushed my father to buy a nice hi-fi system with cassette player, turntable and radio, then he started collecting records. In few months he bought some AC/DC records, Deep Purple, Led Zeppelin, Pink Floyd, some italians artists too (F. De André, Camerini, Orme, ecc.) and a weekly collection, a kind of encyclopedia of Rock, sold at the newspaper stand. The first time I went to the record shop in the near town (Trebisacce) I was with my uncle who wanted to buy me a gift... but I had no idea of what I needed... so I noticed a strange cover with a monster, I was attracted by this strange thing because I couldn't figure out which kind of music could fit with that image. It was Piece of Mind from Iron Maiden. Once at home I played the record 10 times in a row freakin' out. Then I dreamed to get a bass to play one day like Steve Harris. You are still playing in several bands, you are a guitar teacher too - a very busy guy. Did you ever have to say No to projects which you want to make unconditional but there was no time to do it? Yes, sometimes it's better to say "No" and live in peace avoiding troubles with the band mates. If you live with music you must learn very quickly how to manage these problems. One solution is trying to make other music projects on your own or as a leader just to be able to stop while you're touring or recording with the main projects. 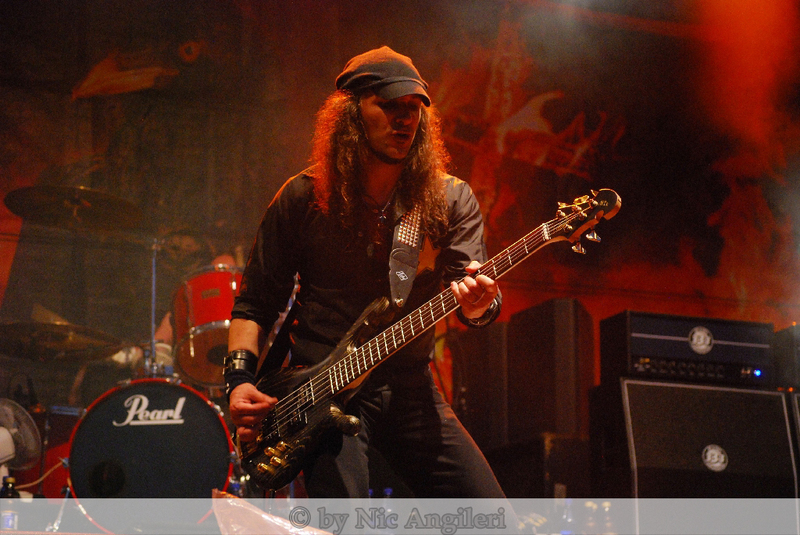 Since 2008 you play the bass in the band of Jorn Lande. The tour-schedule shows new dates in Autumn. Will you visit more countries in Autum/Winter, perhaps Germany too? What were your greatest moments in your career as musician up to now? 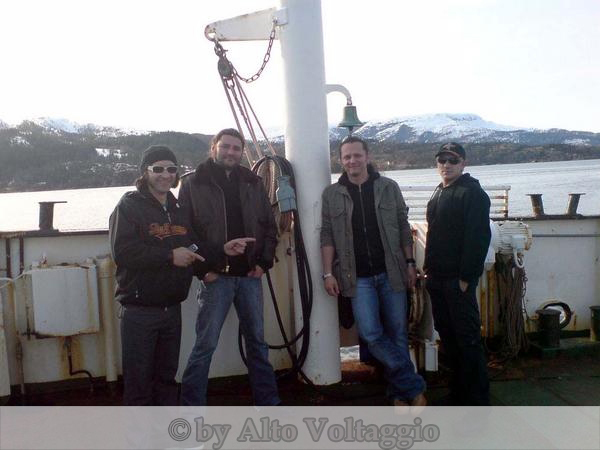 Have Alto Voltaggio and/or Jorn plans for DVD-releases of the current shows in 2010? I think we're going to make a new DVD with Jorn soon... Don't know yet. 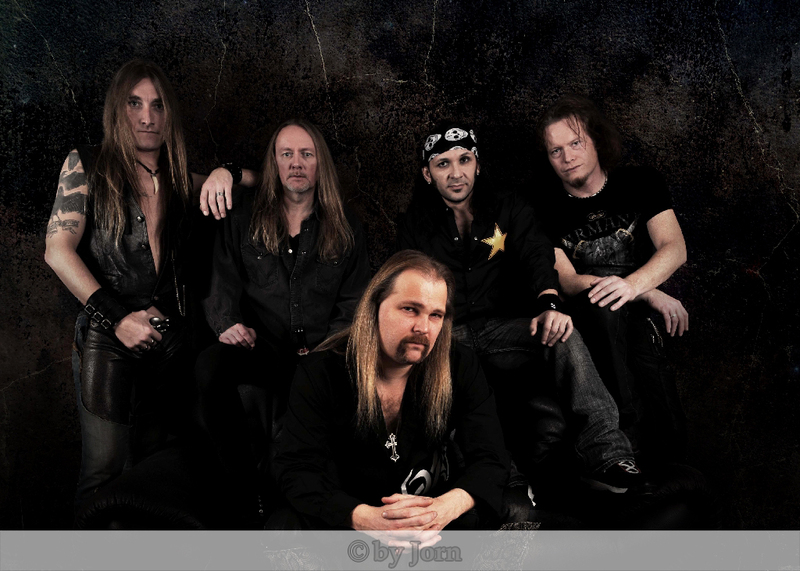 Jorn wants to show his band to the world, in the past he changed a lot of musicians, now he's got his own true and tight band reaching an original and powerful sound live. New plans are showing up with Alto too, I'll keep you posted soon... I'm working also on my own project, an instrumental trio with drums and hammond, hoping to be ready next winter. Photos> No.1 © by Hans Clijnk / No. 2 © by Nic Angileri / No. 3 + 4 © by the bands.